A collection of Indigenous student groups will be hosting an art event on campus in solidarity with the Wet’suwet’en First Nation. On February 4, “The Time Is Now: Stand with Unist'ot'en” event will raise funds for the Wet’suwet’en legal defence fund. The event is organized by the First Nations Studies Student Association (FNSSA) and receives support from the Indigenous Students Association and the Indigenous Law Students Association. 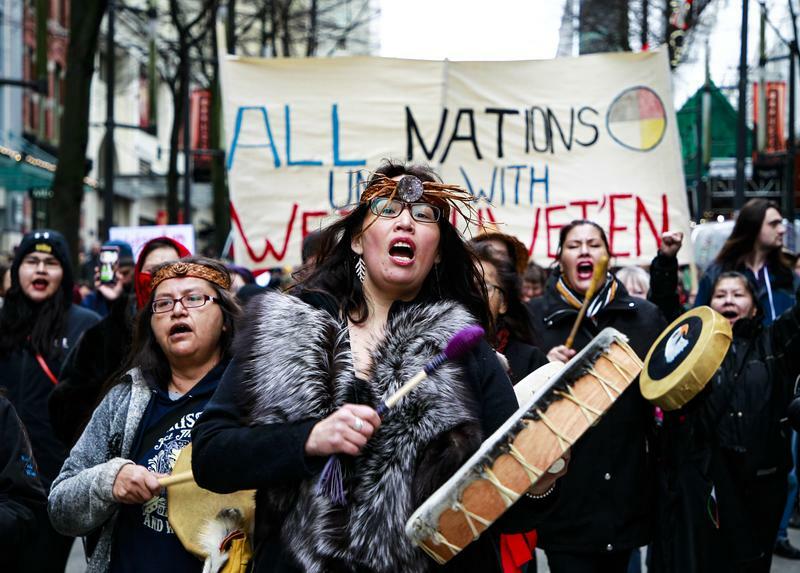 In the last few months, the Wet’suwet’en First Nation’s hereditary chiefs have been pushing back against the construction of a Coastal GasLink liquid natural gas pipeline that would run through their traditional territory. In December, the BC Supreme Court gave a temporary injunction for construction workers to be allowed into the Unist’ot’en Camp, which was established by the Unist’ot’en — a clan within the Wet’suweten First Nation — to block the pipeline construction. A second checkpoint by the Gidimt’en clan was built in response, which the RCMP dismantled on January 8. They also arrested 14 people, who have since been released. To protect the nation’s members, the hereditary chiefs subsequently reached an agreement with the RCMP to allow workers to access the territory — but they clarified that this is not the same as consenting to the pipeline construction on their land. On January 30, the Unist’ot’en Camp put out a call to action demanding construction to stop after Coastal GasLink began bulldozing through their territory. In response, attendees at the fundraising event will be given supplies to create art pieces, posters and t-shirts to show support for the Wet’suwet’en. They will also work together to create a community art piece that will be sent to the Unist’ot’en Camp, while their individual creations can be kept or sent to activists. Entry is by donation for a minimum of $5, but no one will be turned away for a lack of funds. “It’s an interactive, creative event that helps us build a community of allies and land protectors on campus,” said Alexa McPhee, an event organizer and the editor-in-chief of the Journal of First People’s Writing. The organizers ultimately hope that this event can both help raise awareness amongst students who might know about the dispute and provide a space for engaged students to further their support for the Wet’suwet’en First Nation. “The hereditary chiefs and a lot of the community members do not want the pipeline because [it] goes through really important areas of land that are important both for cultural reasons and for health reasons,” said McPhee.